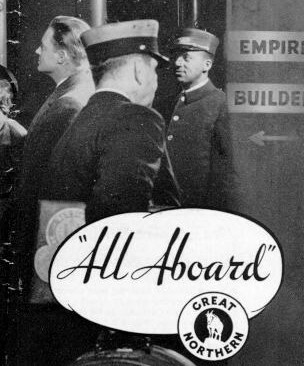 This is a complete large advertising brochure which thoroughly describes the route and posh features (for the day) of Great Northern's Empire Builder in 1935. The entire folder is in black and white but it's such a good representation of a bygone style of travel that it merits inclusion here. I hope you like it! Click here or on the pages to the left.